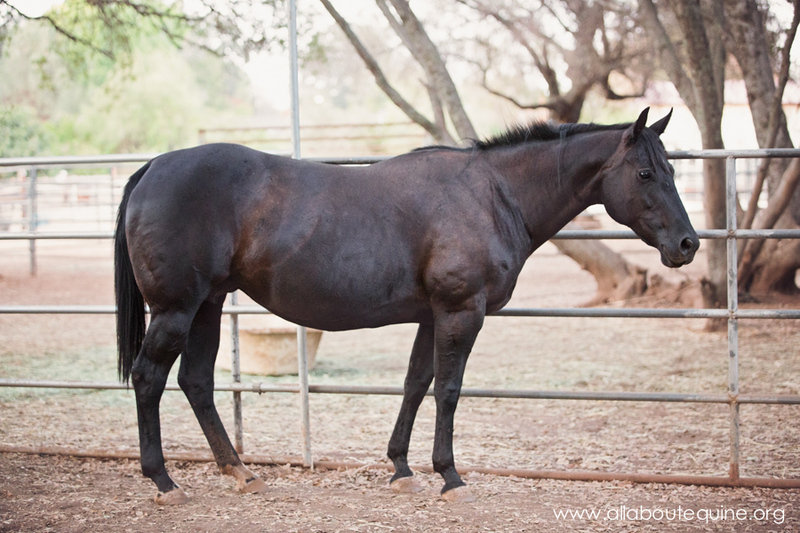 Jetta was transferred from another rescue to All About Equine in April 2015. She was part of a large scale rescue several months prior. Jetta was still a bit underweight when she arrived, but a very sweet and social mare. 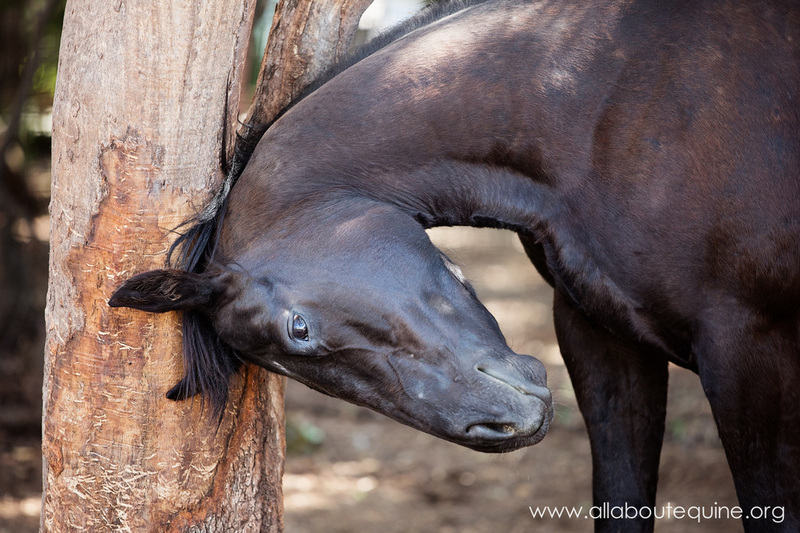 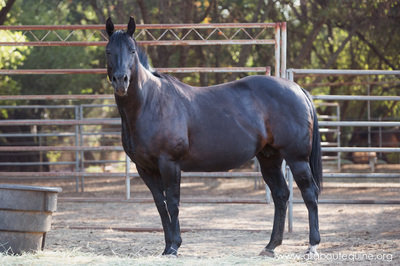 She traveled down to the Monty Roberts International Learning Center (MRILC) to participate as a project horse for students in one of the MRILC courses; however, her stay was cut short when it became apparent she was pregnant, and delivery of her foal was imminent. 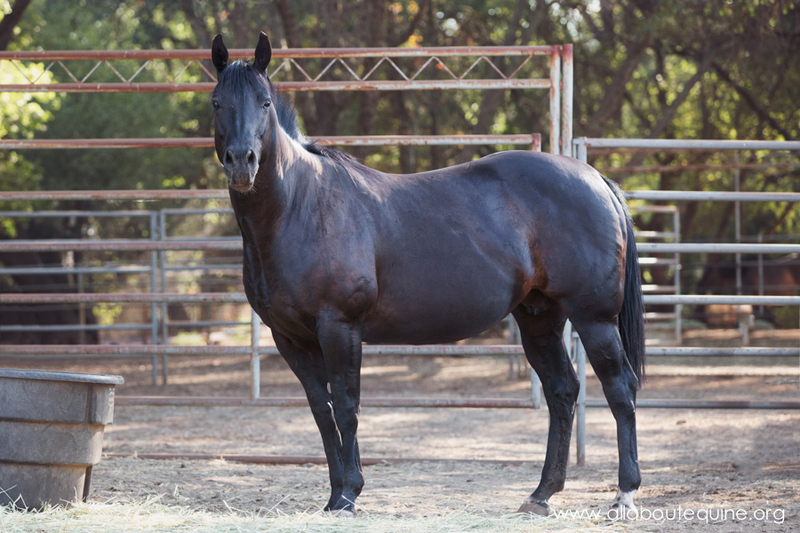 Jetta returned to All About Equine where she gave birth (on April 18, 2015) to a beautiful baby boy we named Willie. 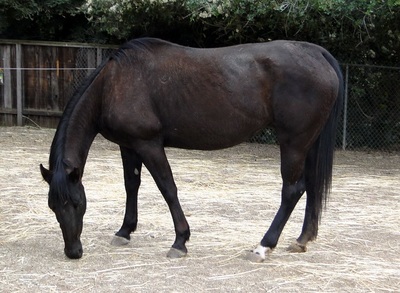 Jetta is a very nice mare and will be available for adoption after her foal is weaned. She is up to date on vaccinations, deworming, and hoof care, and she is schedule for dental evaluation.